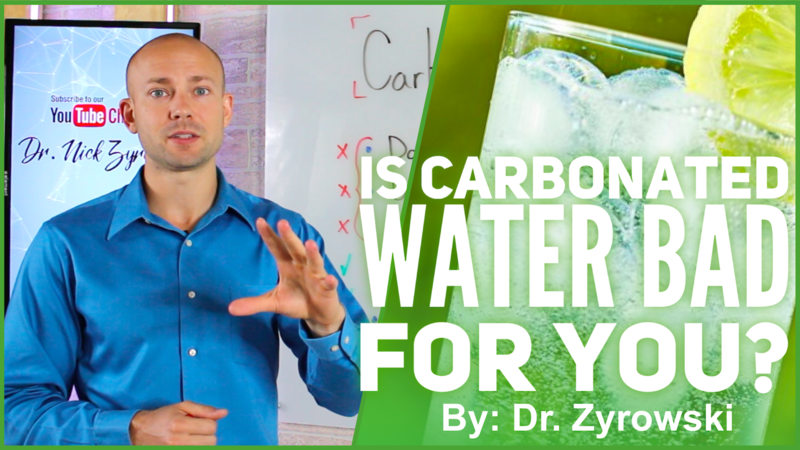 [VIDEO] Is Carbonated Water Bad For You? Home » [VIDEO] Is Carbonated Water Bad For You? Is Carbonated Water Bad For You? You may have heard me recommend drinking sparkling or carbonated water during fasting to help you feel satiated. 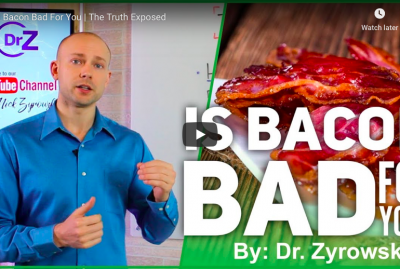 In this video, I’m going to dispel some of the health myths that surround carbonated water and why you should be drinking it! There are a ton of health issues associated with carbonated drinks, no question. But it isn’t their carbonation that causes them; it’s their ingredients. Sugar, artificial sweeteners, and a variety of dyes can act as toxins in your body. Carbonated water (at least the unsweetened, unflavored kind) carries none of these issues. It’s just pure water, but with a little extra sparkle! Let’s take a look at the first myth: carbonated water damages truth enamel. Again, studies that looked at the effects of carbonated beverages on the teeth were looking at sodas and energy drinks, not pure spring water. The reality is that carbonated water has the same effect on your teeth as non-carbonated water: absolutely none. Does carbonated water decrease bone density? Nope! Again, the evidence points towards sugary carbonated drinks that can leach the minerals from our bones. Carbonated water has no effects on our bone health whatsoever. How about bloating? Ok, there is some truth here. It’s carbonated, so, yes, there may be some bloating if you drink it. 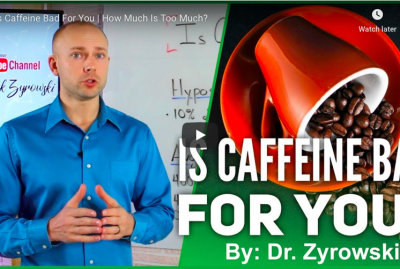 But, for the most part, as long as you don’t drink excessive amounts of it, it should be fine. Try sipping slowly, don’t chug! There have been similar concerns about carbonated water in regards to acid reflux. If carbonated water causes you to develop heartburn, then it simply isn’t for you. Now, how can carbonated water help your health? Well, it can relieve constipation, reduce hunger, and is terrific when you are doing a fast. I’m certainly going to be continuing to drink it into the future and I think that you should too! If you’d like to learn more ways to excel your health, you can find lots of helpful hints on the NuVision Excel YouTube channel. Feel free to subscribe so you don’t miss a single video! Hi, I’m Dr. Zyrowski from NuVisionExcel.com. If you’re new to the channel it is such a pleasure to have you here. Be sure to subscribe, hit that little bell notification to join our notification community and I’m going to help you excel your health and your life. In this video were talking about is carbonated water bad for you. This is a question we get a lot for a couple reasons. First is because drinking sparkling water or carbonated water is one of the hottest trends right now simply because people are finally realizing that sodas are very terrible for your health as their loaded with copes amounts of sugar. They also have a lot of artificial flavorings in them and they also, if that wasn’t bad enough, have a lot of artificial sweeteners. So, they are really bad for your health and people are making that lateral movement, that lateral switch in switching over to carbonated water. Now the other reason I specifically get a lot of questions is because I recommend people drink it while fasting and they say well there are all these different problems that can come out of it and so I am going to go and address each one of these top questions that we get regarding carbonated water for you right now and give you the truth behind it. So, first one here is that it damages tooth enamel. Does carbonated water damage your tooth enamel? And so, when we look back to a study done all the way in 2001, what was found is that carbonated water had hardly any different effect than drinking regular water on your tooth enamel but what was really bad was drinking sugary sodas. Sodas were found to have 100 times worse effect on tooth enamel than drinking carbonated water. Now specifically drinks like red bull, Coca Cola, and even Gatorade, which isn’t even carbonated at all, had very bad effects on your tooth enamel. So, when we look at does sparkling water damage tooth enamel that is actually false, it does not. So it is completely fine and will not harm your teeth. Now the next one is does it decrease bone density? 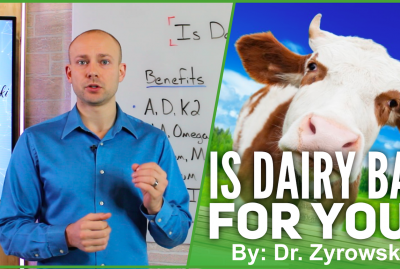 Some people say it I heard it flosses the bones pulling out the mineral content and decreasing bone mineral density. So, once again when I looked at the studies here, what was found is that due to sodas having a high phyfolate acid content, that is what is actually believed to decrease bone mineral density, not good ol’ sparkling water. So, when we look at does it affect your bones we are looking to sodas here but not actually sparkling water. So, once again this is false. Sparkling water will not have any effect on bone mineral density. Now, does it cause kidney stones? I don’t have a lot to say on here but basically the same thing was found here is that when we’re looking at these carbonated drinks, it was related to soda and not sparkling water. So, when we look at all three of these here. Basically, what we’re finding is that this is a problem with drinking soda and not sparkling water. And many times, people didn’t differentiated the two from each other and they kind of just figured when they saw the studies well it is these carbonated drinks that is doing it but you know truthfully it is more of the content of what is in that carbonated beverage not the carbonation itself. Now the next thing is bloating. Does it cause bloating? Well, yea truthfully carbonated water is going to cause some bloating. As a matter of fact, like if you are going to the beach or anywhere you don’t want to look bloated I wouldn’t drink any type of carbonated water. So, you know, unfortunately it does cause some bloating but that’s to be expected when you are drinking a beverage that is loaded with bubbles. The next question is does sparkling water cause heartburn. So, the truth is that it actually does cause heartburn in some people. I find that it typically causes heart burn in people who already have some type of gastro-intestinal issue going on but it is not everybody. So, some people it will, most people it will not. Unfortunately, for sparkling water I have to say that it will cause some heartburn in some people. So, I’m going to give that a positive. Does it cause constipation? Well as a matter of fact sparkling water is proven in the research to help with constipation. So, what they found in this study that those who are constipated that drink sparkling water, their able to get things moving again. So, if you’re constipated sparkling water actually has a positive effect. So, were going to go ahead and give that a green check for that it can actually help with constipation. Now does it cause hunger or does it cause you to feel full? So, this is a interesting one because overall what was found in the research is that it actually helps you feel full but also when we look at these different carbonated drinks that have artificial sweeteners, and artificial flavoring and flavoring of any sort those are certainly going to stimulate hunger. So, when I am referring to drinking a sparkling water while intermittent fasting or fasting of any sort. I am referring to a Pellegrino or a Perrier. Which is a sparkling mineral water that is without artificial flavors or sweeteners in it. Now, if you are drinking one that has artificial flavors or sweeteners then you by all means you are going to stimulate hunger. 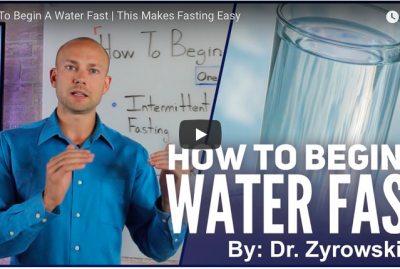 Now, actually if you want to learn more about fasting, intermittent fasting check out the video that I did on it so that you can learn how to intermittent fast and then why I recommend using carbonated water while fasting. So, at the end of the day I am going to continue drinking sparkling water, I am going to continue recommending it to people while fasting because now we know that most of this stuff is a myth and it doesn’t have any negative impacts on your health. 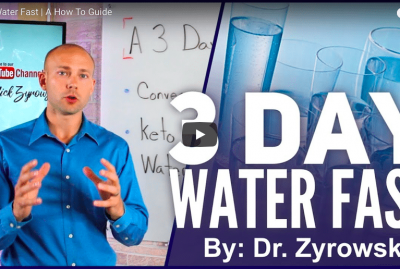 Be sure to like this video, post what sparkling water you like to drink in the comments section below, subscribe to my channel and check out my other videos over here because I have tons of great videos on fasting that are going to help you improve your health. I’ll see you in the next video. 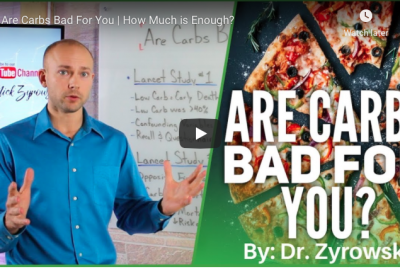 [VIDEO] Are Carbs Bad For You?